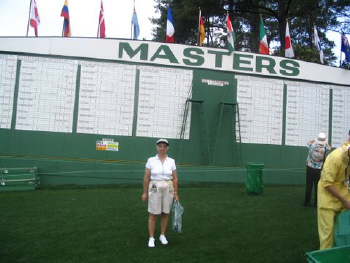 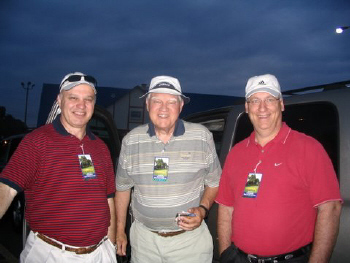 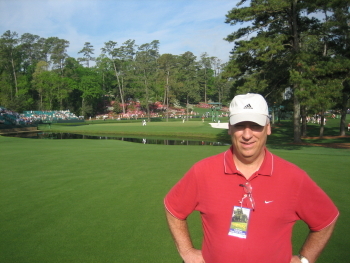 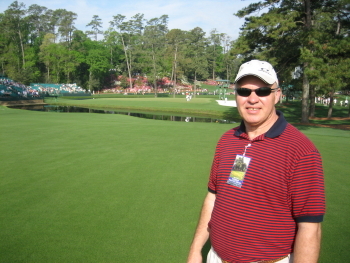 Paul, Ken, Bruce and Dot at Augusta National on the second day of the practice round. 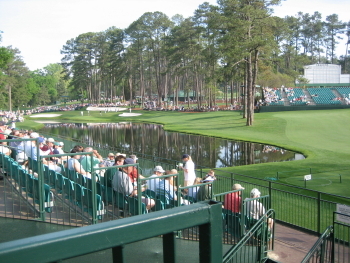 across to the green to the delight of the crowds. 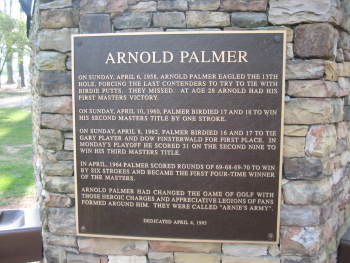 and he almost made it! 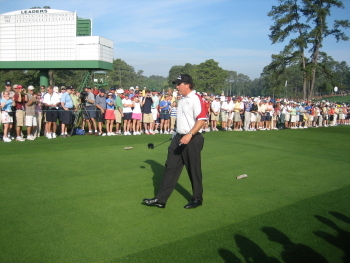 Tiger Woods (below left) and Phil Mickelson (below right) were only 5 feet away. 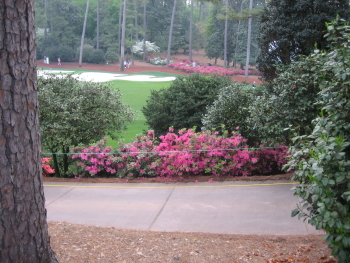 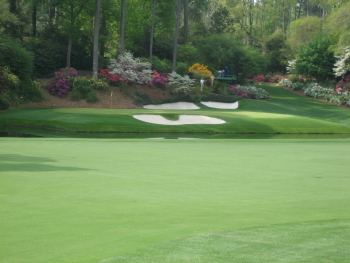 The azaleas and dogwoods were in full bloom and course was immaculate!